Dhaka, Bangladesh (BBN) – Gold futues advance to record highs driven by mounting concern that currencies including the dollar will lose value after governments boosted spending to combat the global recession, fueling demand for the metal. 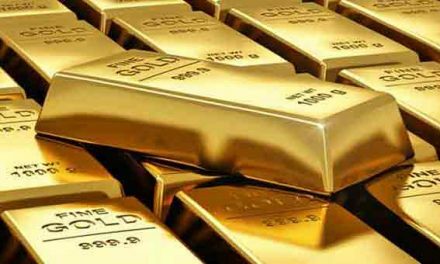 Gold price touched record USD 1,054.68 an ounce on Thursday. Crude oil and Copper also advanced as the dollar’s slump prompted investors to buy commodities as a hedge against potential inflation, according to reports. Copper gained in Asia for a third time in four days, to the highest in two weeks, as regional equities extended a global rally and the dollar weakened on optimism the economy is recovering. LME copper for delivery in three months rose to USD 6,250 a metric ton, the highest price since September 23.